Valve should sell the Half-Life IP – but to whom? November 20, 2018 Half-Life is 20 years old today – as old as Gordon Freeman when he studied at MIT. To celebrate we’ve updated some classic Half-Life stories, like the sorry tale of Half-Life 3, and this rundown of the studios we’d like to build it. You’ll find links to the other pieces at the bottom of this article. Look: Valve doesn’t really want to make Half-Life anymore. In fact, it possibly never did. Hush, ssssh, it’s ok. It’s ok to say that now. I mean who can blame it? The studio has developed a system whereby staff can choose whatever project they fancy working on. Why wouldn’t they roll their desks as fast as possible away from the game bearing the greatest weight of expectation any PC game has ever carried? Let’s forget about Half-Life 3. Let’s think instead about Half-Life: Subtitle. There’s a subgenre of thinky FPS games that’s being underserved, and a world of game developers out there. If Valve was to sell off the Half-Life license, surely somebody would do a half-decent job of it? We’ve picked some suitable candidates, but feel free to suggest your own down below. From the Source-savvy worldbuilding of the Dishonored studio, to the bright-eyed modding experience behind Kingdom Come: Deliverance, there are strong arguments to be made for each of these potential Half-Lifers. Perhaps that worthy sequel is still out there, and we’ve simply been looking in the wrong direction. Jeremy Peel: Do you know, it nearly happened once already? Long before Dishonored, the Lyon masters of level design were slated to make a Half-Life: Episode 4. Given the working title of Return to Ravenholm, it died along with Valve’s episodic project because life is pain and the void awaits us all. 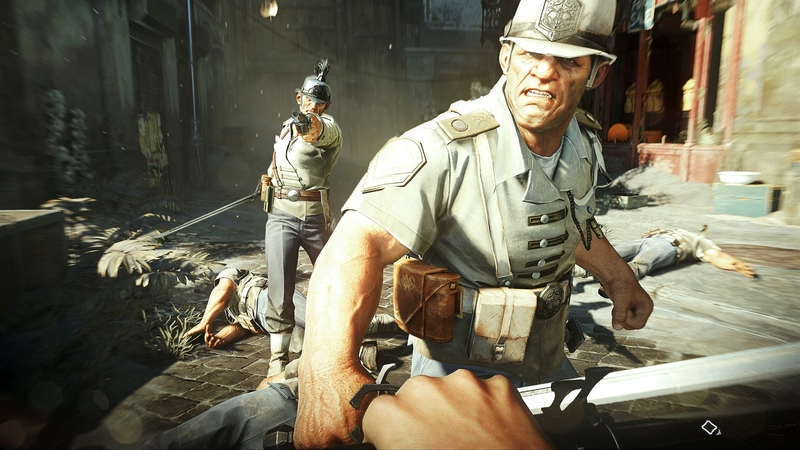 Arkane was no longer using the Source engine by the time Dishonored came out, but it often felt as if it was. Arkane approaches its worlds with the same visual economy that Valve does, painting in broad strokes that belie some incredibly intricate world-building. It was also working with ex-Valve artist Viktor Antonov, and Dunwall consequently had plenty in common with City 17 – hard lines, uncomplicated textures, a sense of one history built on top of another. The comparison runs deeper. Though it might be hard to see where Dishonored’s open-endedness matches up with the straight-line linearity of Half-Life, there’s a key point of commonality: simulation. Both games have a rule: everything behaves as you would expect. Just as you know that a barnacle tugs the player into the air towards its nasty maw, and that flammable barrels blow up shortly after being shot, you can surmise that those two rules will work together to explosive effect. That’s Half-Life, and Arkane could bring it back. Phil Iwaniuk: A studio that bullishly describes games of impossible quality and detail, and then produces them. Who better than the Witcher dev to take the weight of the Half-Life name on its shoulders and drag it past the threshold of our collective expectations? CD Projekt Red only really has a track record of delivering its world-building and storytelling on a grand scale, and Half-Life was never about that. But it seems unlikely that the Warsaw studio would capitulate once the walls began closing in and its protagonist grew a goatee. If you take away nothing else from its Witcher series, it’s at least apparent that it knows how to imbue your actions with purpose. Just as everything Geralt does in the perpetual sunset of Velen feels like it affects the world around him, so too would CDP take Gordon and deploy him in a setting where he once again feels vital. Half-Life: Subtitle would feel very different to its predecessors under this banner, but one suspects it’d sate the ravenous fanbase better than any. Tim Edwards: What Half-Life games need is a big old new-type-of-experience shock to the system. Half-Life won by building a story and context and characters. Half-Life 2 built physical systems and a world to explore. What I’d want to do with Half-Life 3 is pretty simple: combine the detailed world, the sense of place, the incredible characters and spread them over a vast open world. I want the omni-game. To make that, you want a team who’ve at least had a go. Experience counts. Here’s the problem: there aren’t many people making open-world first-person shooters, and those that do seem to explode. GSC Gameworld (Stalker: Shadow of Chernobyl), isn’t around any more. Red 5 isn’t around any more. And I doubt Ubisoft is going to rent out its Montreal team any time soon. But there is a left-field choice: Dambuster Studios. 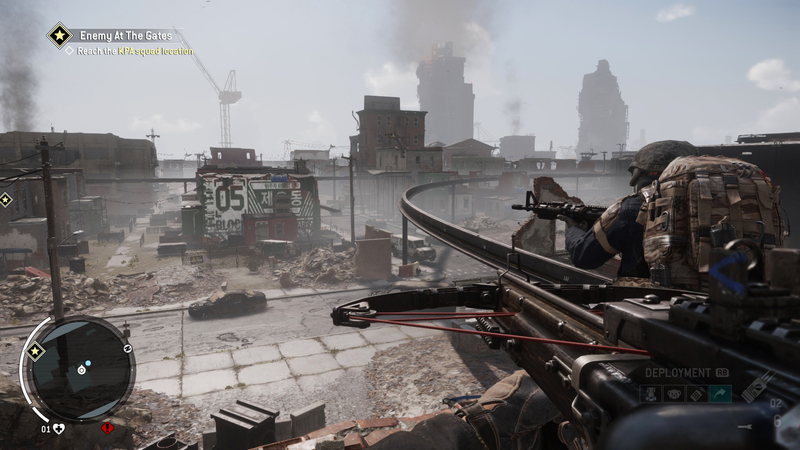 Look, no one’s going to pretend that Homefront or Homefront: The Revolution were particularly brilliant. But I think circumstances (the explosion of the previous developers) give those that worked on Homefront: The Revolution a bit of a pass. And there are some bits of that game that are genuinely delightful: cocking around with drones, the sense of living under an oppressive regime, a really funky weapon customisation system. The main complaint you can level at the latest Homefront is that it really wasn’t polished enough: fair point, but that comes down to budget and time. It’s time to give Dambusters a chance. Phil: They’re really quite ambitious at Warhorse. 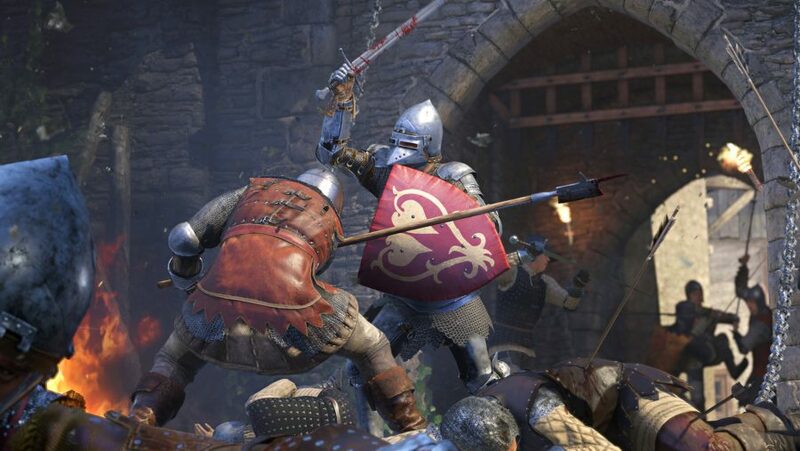 Kingdom Come: Deliverance is testament to that, but perhaps just as pertinently it’s the studio’s first game. 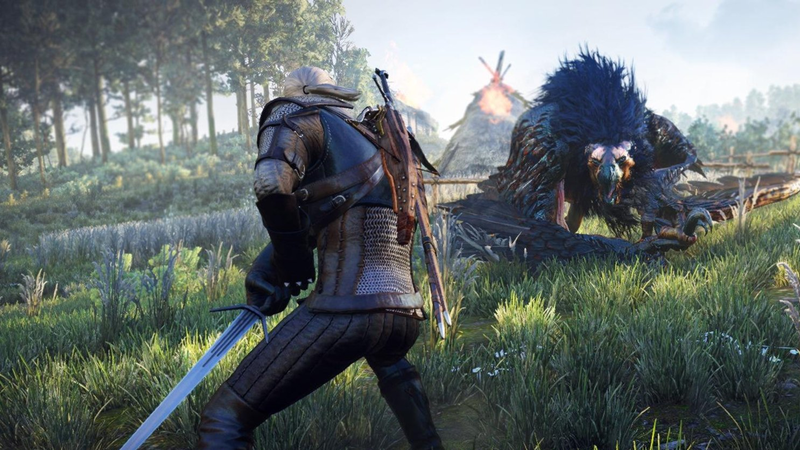 It’s a developer comprised of a few industry veterans, but also some first-timers who cut their teeth on the modding scene and for whom triple-A development has yet to lose its sheen. Put simply: it doesn’t know what’s impossible yet. So: who would you rather give the Half-Life license to, a well-drilled studio with a proven record of shipping familiar successes, or a team untarnished by the industry’s received wisdom? Valve itself was just such an outfit when it enthusiastically shook hands with the id execs who agreed to license the Quake engine. FPS games were the zenith of the form in 1997, and this first-time developer was going to, what, make one better than Doom? And Quake? With an old game engine? Breaking all the rules along the way? Yeah, good luck, Gabe. Jordan Forward: Commander Keen and Dangerous Dave step aside, it’s time for Gallant Gordon Freeman. For one of the most celebrated first-person shooter series of all time, the actual shooting in the Half-Life games just isn’t that fun. Variation in its catalogue of weapons has helped stay that issue by providing us with unconventional arms like the Gravity Gun and Hive-Hand to piss about with, but what the franchise needs is a pulse rifle or shotgun that’s just as satisfying to fire. 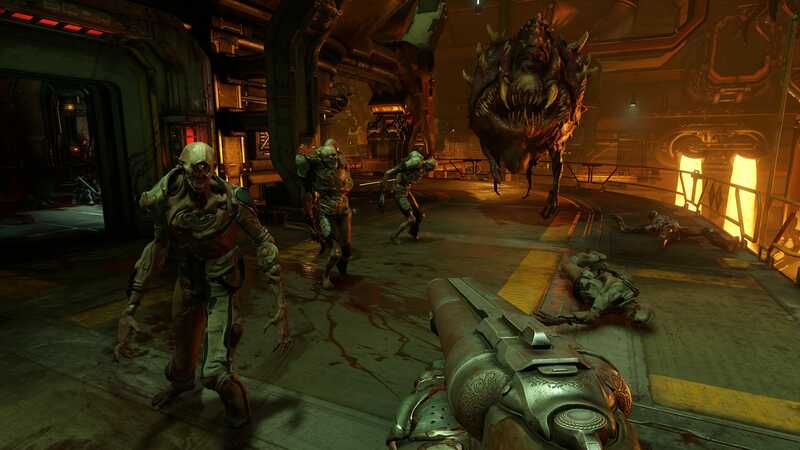 Quality weapon feedback is what id Software does best – the weapons of Quake, Doom, and even Rage feel satisfying to shoot, more so than they probably should. They rattle and clang like they’re real tools you’re holding in your hands, there’s recoil to wrestle with and individuality imbued into every single weapon, and absolutely no latency between pulling the trigger and an explosion of gore appearing before you. It’s also worth mentioning that id isn’t bad at building worlds either, a trait it has in common with Valve. Despite its occasionally lacklustre plot, Rage’s world was always an interesting place to be – full of charismatic cretins and crumbling architecture, it’s a harsh and unforgiving wasteland with character to spare. Who’s to say id couldn’t do City 17 or Black Mesa justice? Jeremy: Better specify which Creative Assembly we’re on about here – not the team recreating grand battles from 279 BC, but the one recreating classic science fiction from 1979 AD. In a post-’90s world not exactly overflowing with powerhouse FPS studios, CA was good enough to put together a brand new one. The result was an extraordinary first-person survival horror period piece – and what would a follow-up to Half-Life 1 be, if not that? 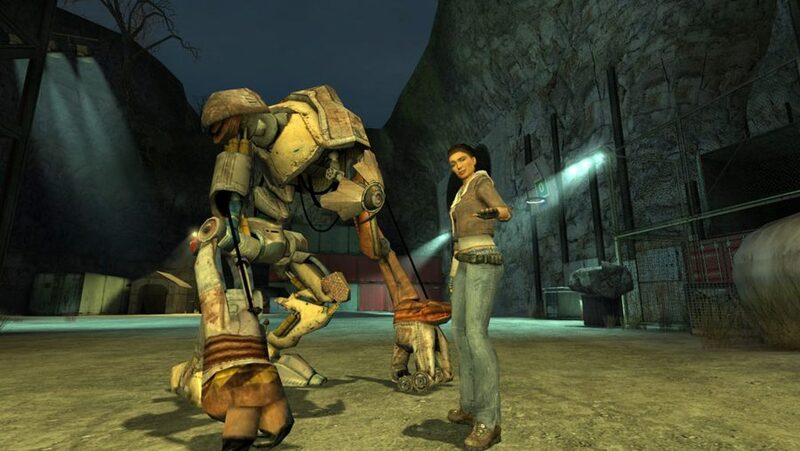 It’s easy to forget, after Alyx Vance, that Gordon spent so much of the Half-Life series utterly alone. During the Black Mesa incident, Barneys came and went – the only constant the clang of the Free Man’s feet against a variety of metal surfaces. And if there’s anybody who knows solitary survival horror, it’s the Isolation team. One of Half-Life 1’s calling cards, back in the day, was intelligent AI – the interaction between you and vortigaunts and scientists less well-equipped for combat. 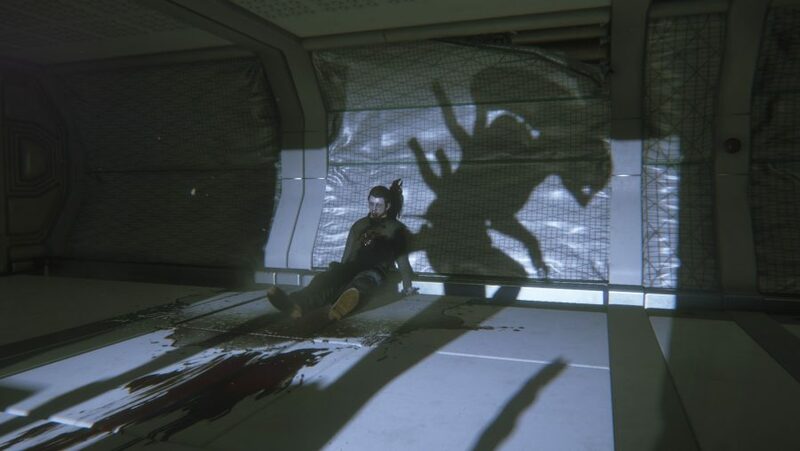 Alien: Isolation, meanwhile, represented the genre’s first concerted and meaningful effort to move enemy AI on this decade. What’s more, that nerve-wracking save system showed a willingness to go out on a limb with unconventional design decisions that reinforce a game’s themes. Which is important: a true Half-Life game won’t follow any design trends – it’ll lead. Phil: Go ahead and make your jokes about dubstep, battle-mushrooms and the word ‘badass’ – Gearbox has priors here. Long before Randy Pitchord’s primary claim to fame was as a Twitter magician, SHIFT code dispenser and Aliens: Colonial Marines apologist, the man headed up an expansion pack called Half-Life: Opposing Force. It’s one of the best expansion packs in history. The ripples made by Half-Life’s original release in 1998 were still felt in ‘99 when Gearbox’s debut release dropped, and people would have kicked up a stink if it didn’t meet its parent game’s standard. There’s certainly no mistaking one game for the other, but Gearbox provided a valuable contribution to the IP that just happens to include a lengthy tribute to Full Metal Jacket in lieu of a tutorial. 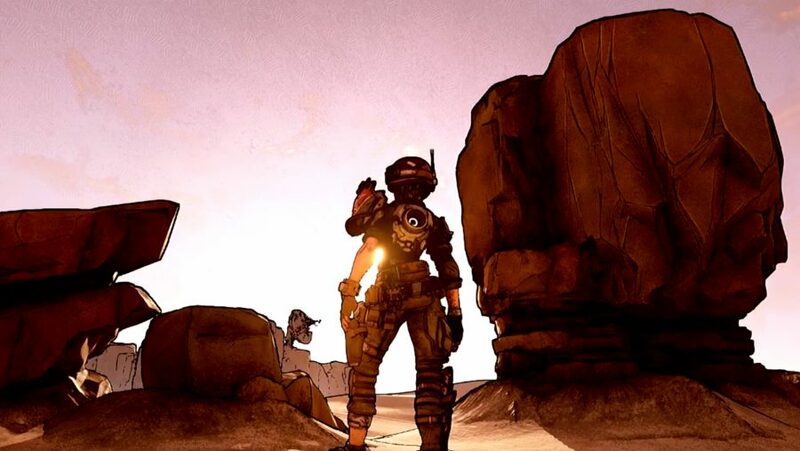 What would Gearbox’s vision for Half-Life be in 2016? The subsequent years haven’t quite cemented its reputation for making good on a big franchise name, but it’d be a hell of a thing to see what Randy and his team had in mind for Gordon Freeman in their post-Claptrap incarnations. Want more Half-Life celebrations? We have you covered with the comprehensive, rather sorry tale of Half-Life 3, and a check in on the team behind Project Borealis. We’re still holding out hope that some day, in some form, we’ll play… something. We’re terrible romantics, though.